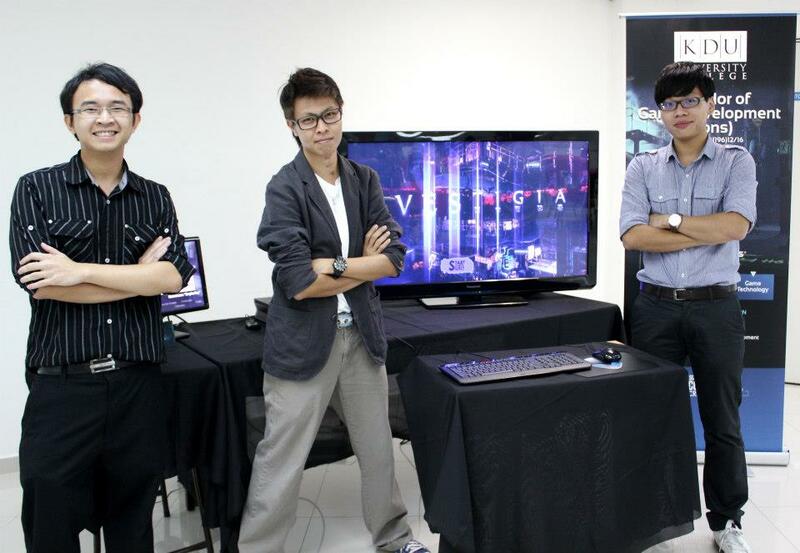 Students after SPM or O-Levels who love gaming and have a passion to design them can consider studying the Bachelor of Games Development at the best university for this course in Malaysia at KDU University College Utropolis Glenmarie. Students will need at least 5 credits in SPM or O-Levels to enter the Foundation in Arts & Technology course at KDU University College. Pre-University graduates in Malaysia from programmes such as UEC, STPM, A-Levels, SAM, CPU, AUSMAT and others may enter directly into the Game Development degree providing they meet the minimum entry requirements. education to meet real world needs, and has traditionally, been successful in producing competent graduates and preparing students for top universities all over the world. education services provider for primary, secondary, tertiary, and postgraduate level studies as well as executive and professional development programmes. The new 10-acre purpose-built KDU University College campus at Utropolis, costing RM320 million, has been designed around the philosophy that learning is experiential and can happen anywhere. There are open spaces, themed gardens and discussion cubes, along with 9 fully equipped lecture halls that can house up to 250 students each, 60 state of the art classrooms where 4,000 students can be attending lecture and classes at any one time, a 50,000 sq ft space housing KDU University College’s comprehensive library and a 500-bed student village. Computer Lab – A number of computers all at the ready for our students’ access, connected to the free high speed WIFI service available on campus. Student Lounge – A student hotspot equipped with comfortable furniture for students to ease their minds. Library – The Utropolis Glenmarie library is spread out over 50,000 square feet, fitted with a coffee bar, Zen garden reading lounge, quiet study and learning pods. Learning Pod- Students can have the space they need in order to focus on studies at hand at the private Learning Pod. Atrium – Wide open space often bathed with natural sunlight. On-campus accommodation on a 10-acre, 7-storey block that accommodates up to 580 students which is divided into male and female wings. This is where Game Development students will be spending most of their time at. Equipped with powerful equipment necessary for your education, the Game Lab in KDU has everything that you’ll need to play the latest and greatest titles on the market currently. Of course, playing won’t be everything you’ll do in this lab. You’ll be developing games from the ground up. The Game Lab offers 11 units of Alienware Aurora gaming desktop systems. In a room found next to this, is the Game Console Area, where there’s Sony PlayStation 3, one Special Edition Gears of War themed Xbox 360, and a Nintendo Wii.